Experience the ultimate caching power. Unlimited SSD, RAM and Threads ! Bitlocker(tm) and our Caching Software. SSD Caching with no Compromises. 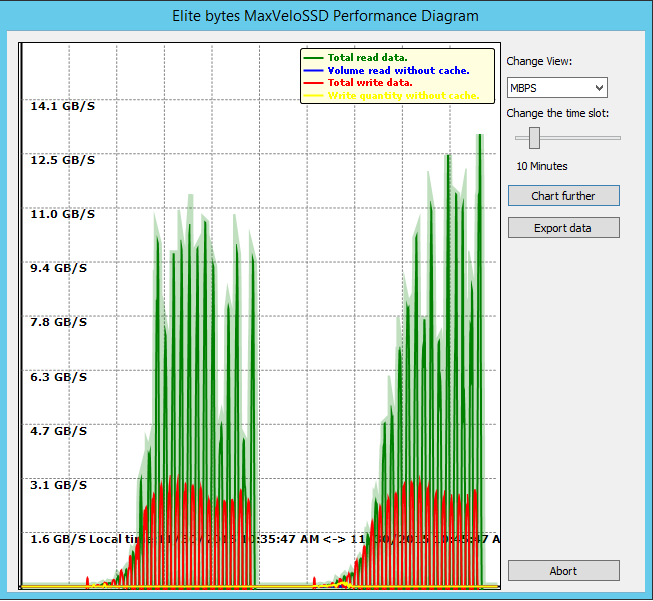 With VeloSSD EliteBytes delivers SSD caching software for Windows Client and Server x86/x64 platforms. 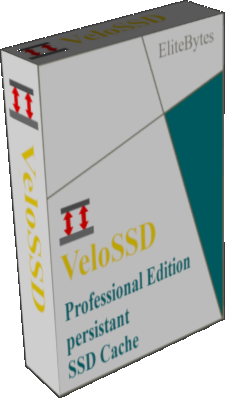 VeloSSD accelerates storage volume as RAID, Fibre Channel LUN, SAN, iSCSI, Dynamic, Gpt, and boot volume. 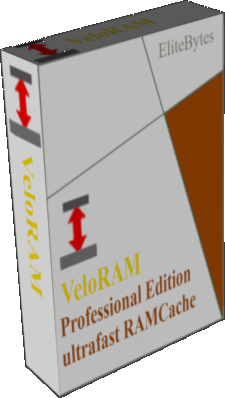 VeloRAM is a block level RAM cache System. It caches any storage Volume content on SSD or HDD. It is not persistant. It is fast like a Ram Disk, Capacity like SSD or HDD. Our Support Forum has opened. Quick Fact Sheet about our Software: VeloSSD, VeloRAM and MaxVeloSSD. Database Acceleration, SQL and SQL in RAM. The Overwhelming performance Update for MaxVeloSSD is online Now. Read on Here. Feb 24 2017. Online Manuals for our products are available here. Jan. 18 2017. Login via Facebook, Google, Twitter, Microsoft, Yahoo and LinkedIn. May 24: Extended Trial Period. Now 30 days. 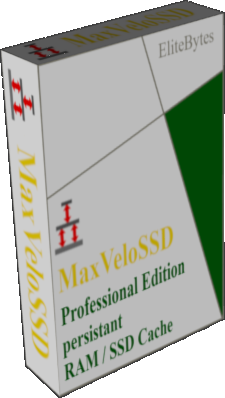 May 10 2016 the new MaxVeloSSD Datacenter Trial Edition Setup is available now. This Diagram shows performance with 2 and 32 threads. Even more impressive acceleration, up to 13.5 GB/Sec. It ran on a P9X79 Board with INTEL CPU, DDR 3. Higher performance with MaxVeloSDD (new) . Better Dual and Multiboot compatibility.